Democratic Assemblywoman Olivia Diaz has resigned her seat in the Assembly and says she plans to run for the Las Vegas City Council seat held by Bob Coffin, who said last week he won’t seek re-election. The Nevada Assembly Democratic Caucus issued a joint statement with Diaz on Monday announcing her resignation. Diaz, whose Assembly district includes portions of Las Vegas and North Las Vegas, said in an interview with The Nevada Independent that she’d lived more than 30 years in the ward and wants to be a representative who works as hard as its residents. “I look forward to being accessible and listening to the needs of the ward and extending as many projects and resources for the entire benefit of Ward 3,” she said. Diaz, a reading center project facilitator for elementary school students who was first elected to the Assembly in 2010, said she was honored to work on education, health care and economic issues during her four terms in the Legislature. She said if elected, she hopes to work full-time on City Council issues, even though the job itself is considered part-time. “I am looking forward to continuing to work shoulder to shoulder with neighbors and friends I’ve known my entire life and continue to do everything I can to improve my community,” she said. The primary election for the City Council seat is in April, and the general election is in June. Filing is held in January. Council members make about $79,000 a year in base pay, according to Transparent Nevada. Among those who announced their intentions to run for the council seat, according to the Las Vegas Review-Journal, are David Lopez, a 25-year-old former Las Vegas parks commissioner, and 36-year-old political newcomer Shawn Mooneyham. 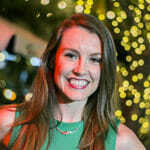 Also seeking the seat: Melissa Clary, who previously worked in the parks and recreation department for the City of Las Vegas, now works as a project manager for the Department of Veterans Affairs and is a board member of Emerge Nevada, a group that seeks to raise up female political leaders. This story was updated at 10:50 a.m. to add that Melissa Clary is planning a bid.